Its a beatiful place ins south america, the small brother of Iguazu Falls but you can be almos under the water. The camera used was a Nikon D610. 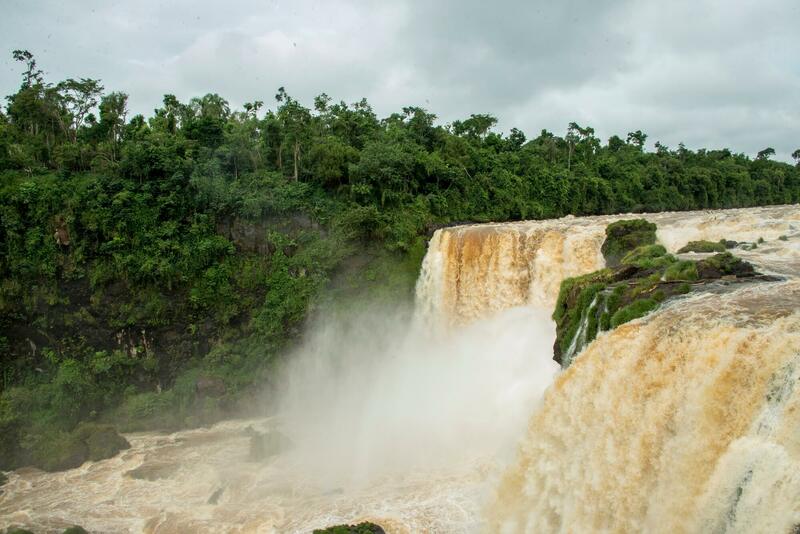 The Municipal Park Monday and its main attraction - approximately 45 m (148 ft) tall and 120 m (390 ft) wide waterfall named Saltos del Monday - are located in the Presidente Franco District, Alto Paraná Department, Paraguay, located between 25 ° 33'40, 6 and 54 ° 38'00,1 latitude, occupying an area of 4 acres (16,000 m2). The average annual temperature is 21 °C, the highest reaches 38 °C and the minimum 0 °C. The highest annual amount of the country in rainfall occurs in the region of Alto Paraná. The Municipal Park Monday includes a natural reserve of nine hectares covered by a thick vegetation, rich with diverse species of flora and fauna and is one of the last remaining blocks of the Atlantic Forest west from Paraná River.